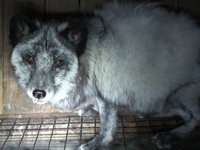 Animal Defenders International : Fur : Stop the fur trade! Worldwide every year over 110 million animals are killed on fur farms, with more than 16 million trapped in the wild for their fur. Animals farmed for their fur are denied their most natural behaviours, the chronic deprivation and extreme confinement causing both psychological and physical damage. Capturing a rare insight into this cruel industry, Animal Defenders International (ADI) placed hidden cameras on a Polish fur farm, documenting the life experiences of foxes farmed for their fur over a period of two years. The animals are forced to live in small bare wire cages, with babies torn from their mothers at just a few weeks old, and then killed aged seven months. Dragged from the cages by their tails, the fox cubs are hung upside down and electrocuted in front of their families and other animals on the farm. Some are not killed outright, despite industry claims, and are electrocuted a second time. Fur is never humane. When you buy fur, you buy cruelty. Please help us shut down the fur trade. Pledge never to wear fur! Sign the pledge now! Share ADI’s 5 fur facts and let others know the real cost of fur. Help get fur farms banned in Poland! Send our letter to the National Media Council of Poland’s parliament here. Join the fight to ban fur in the US here. 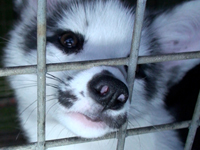 Secure a fur ban where you live – call on your local representatives to take action! Keep the plight of animals killed for their fur in the press! Click here for a template letter to send to your local news outlets. Politely tell fashion magazines, designers, high street stores, and vintage and charity shops that fur is not beauty or luxury; it’s cruelty. Click here for letter templates. Seen fur on sale? Report it here. If you’re not sure how to tell real fur from fake, click here for ADI’s simple guide! Get your pocket-sized resource - our ‘Is that fur real?’ cards! Email us to order yours today. Are you a designer or retailer with a strict no-fur policy? Tell us and join our list of fur-free fashionistas! Support ADI’s global campaign to shut down the fur trade. Celebrity support: Ricky Gervais, Joanna Lumley, Emily Deschanel and other celebrity supporters are backing our campaign and speaking out against the cruel fur trade. Find out more here! Watch ‘A Lifetime’, our film about the brutal short lives of two foxes, brothers Borys and Eryk, born and killed on a Polish fur farm. Watch ‘Never Humane’, our film which demolishes fur industry claims that killing on fur farms is quick, efficient and humane. 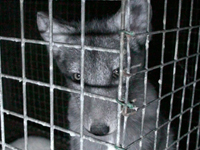 Read our report ‘A Lifetime: Living and dying on a fur farm’.